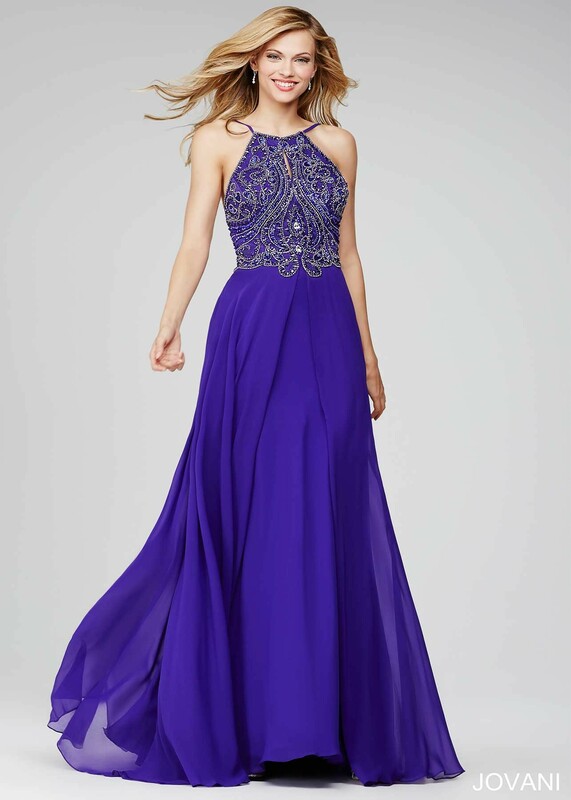 The spectacular fitted bodice of Jovani 92605 evening dress is magnificently jeweled creating a dazzling effect. It features a keyhole cutout and trendy halter high neckline. The full length chiffon skirt flows with your body's motion as you dance the night away. A fully open back, spare the two slim straps spanning from the halter neckline, adds an alluring element of appeal. The garment is jeweled around the waist. The fitted bodice is structured to create a slimming effect. Accessorize with your favorite chandelier earrings and color matched bracelet. You'll be first in fashion wearing style 92605 by Jovani to your next special event, whether it be a gala affair, prom, or anything in between. All purchases for sale merchandise are final sale. 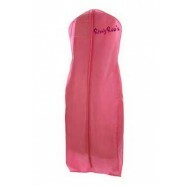 RissyRoos.com is an established retailer that only sells authentic Jovani products.